Roger Waters Joins The Foo Fighters For Thrilling Cover Of ‘In The Flesh?’, & It’s Too Good For Words! Pink Floyd’s 1979 album The Wall, might be the greatest concept album of all time! It combined so many styles of music like psychedelic, rock, blues and even disco! Not only that, the story is inspiring, and the movie that accompanied it was amazing. 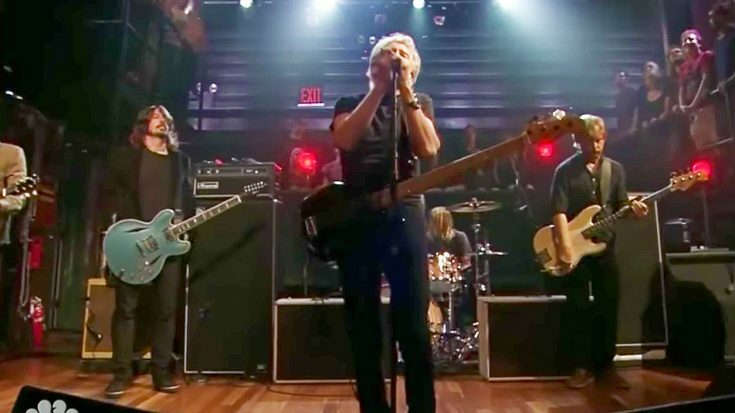 A few years back, The Foo Fighters were guests on Jimmy Fallon’s show, and decided to bring a special guest of their own with them! The Foo’s brought Pink Floyd’s very own Roger Waters to play an amazing cover of “In The Flesh?” with them! The way Roger and The Foo’s interact in a great way on stage, and they sound so natural together. You can tell they have much admiration for Waters, and they play the song to perfection! It’s truly a once in a lifetime performance you will never forget!